See the practical Information of Professionnal Mime and Corporeal Theatre training, or the practical Information of workshops and evening mime classes. To accompany the students in their creations, appointments allow to estimate the state of the works of every participant according to the specifications proposed by the teaching staff. The classes are open to anyone wishing to acquire a training in Corporeal Mime, to professional performers and more generally to those who feel the need to acquire a greater understanding of their body. Situated from now on in Montreuil, our workshop studio is a place of in-service training in Dramatic Physical Mime. Every year it welcomes students come from various horizons and from various countries, all avid to deepen their knowledge in the gestural theater and to assimilate it the essential rudiments of Etienne Decroux’s physical art of mime. Ivan received his actor’s training at the Teatro Laboratorio di Cesena under the direction of Franco Mescolini. As a student at l’Ecole de Mime Corporel Dramatique of Etienne Decroux, founding father of modern mime, he was invited by the master himself to his research projects as his assistant. During his 8 years with the Theatre de L’Ange Fou, the school/company directed by Steve Wasson and Corinne Soum, he participated in the training of students and in the performance and direction of many different productions. He has subsequently taught at different mime schools, including 10 years at l’Ecole Internationale de Mimodrame de Marcel Marceau. In 1988, he opened his own company which would become l’Atelier de Belleville, Ecole de Mime Corporel Dramatique, Centre for Training and Creation, where he assumed the pedagogical and artistic direction. With his Compagnie Commedia, he has directed many productions of which Prokofiev’s Peter and the Wolf and Bluebeard - Copie Conforme have toured France and abroad. More recently at the Theatre du Mouvement, with Claire Heggen and Yves Marc, he participated in the creation of productions such as Blanc sous le Masque, Faut-il croire le mime sur Parole (which has been performed 350 times in France and abroad) and in their latest performance, Je pense donc ça se voit. 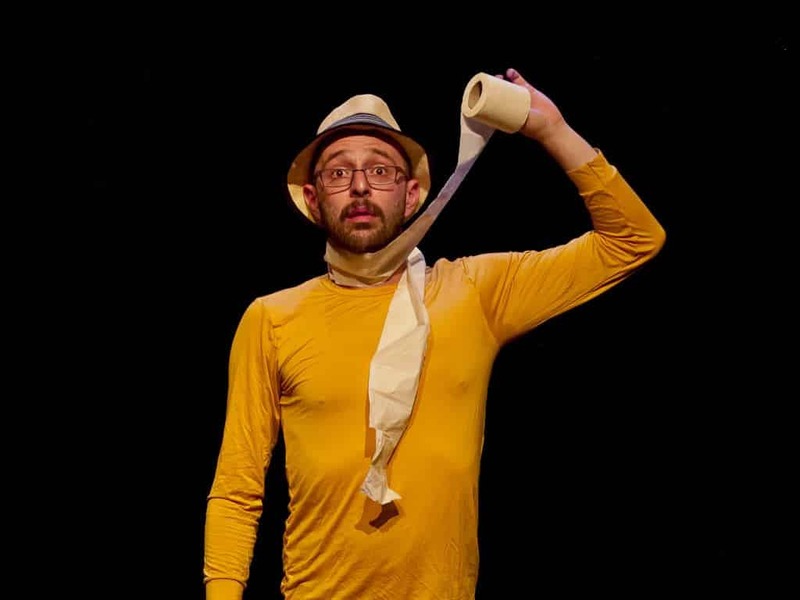 As Master of Dramatic Corporeal Mime, Ivan has also taught at l’Université Paris 8, l’Ecole du Samovar, Studio Magenta, l’Ecole National de Cirque de Chaterllerault, the Conservatoire d’Art Dramatique de Cambrai, and as a visiting artist at the Musée du Louvre, le Grand Palais, le Musée d’Orsay and in dramatic demonstrations at the Centre National du Théâtre CNT in Paris, Brussels and at the Teatro ‘La Soffita’ in Italy. It was as a member of the artistic group Houdini in Lucerne, Switzerland, which engaged in short films and happenings, that Nathalie had her first experiences in the theatre. In 1993 she was accepted into the School of Fine Arts, Lucerne. After a spell at Scuola Teatro Dimitri, she trained for three years at l’Ecole Internationale de Mimodrame Marcel Marceau in accompaniment with studies in Theatre at the Sorbonne Nouvelle Paris III. She has created many pieces as an artist, and participated in the creation of productions of the Compagnie Commedia such as Peter and the Wolf and Bluebeard, which have toured France, Italy and Germany. Since 1996 she has taught in institutions in Paris, and since 2001 has assisted Ivan Bacciocchi in the pedagogical programme of l’Ecole internationale de Mime Corporel Dramatique. In 2007, she received her Master’s degree in Cultural Management. Currently, she splits her professional activity between cultural management, and teaching Corporeal Mime. Classic dancer in Dance Theatre of Harlem, New York, the USA, from 1978 till 1986, Darrell Davis arrives in France in 1986. He works then with the choreographer Rheda and participates in numerous performances on the television and on stage before joining the national Dance studio of Grenoble in 1991 as interpreter then, as assistant of Jean-Claude Gallotta and repeater of the company. He assures the transmission of the directory of the latter with numerous companies in France and abroad. Actor, danser and gymnast, Gustavo trained at the School of Circus La Arena in Argentina. In Paris, he perfected his training at the Centre International des arts du cirque Académie Fratellini, and a masters in the art of performance at l’université Paris 8. He has created and participated his many different performances and is currently creating works with his own company. Founder and director of the Circus department at the Gymnastics School Amalia Ruiz in Argentina, he is currently teaching at l’Académie Fratellini; he directs the theatre workshop at la maison de l’Argentine at the Cité Universitaire, and since 2013 has been at l’Ecole International de Mime Corporel Dramatique where he teaches theatrical acrobatics.